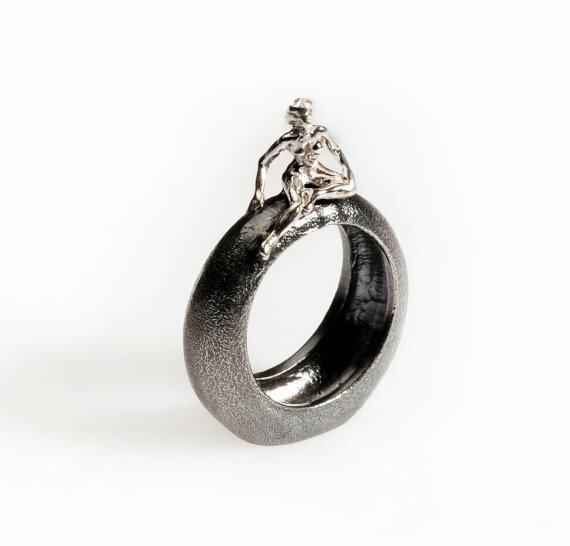 Rarely do I stumble across a ring that has struck me like a lightning bolt and completely stunning me with a sense of awe and wonder, resulting me to being enticed back to the collection time and time again. 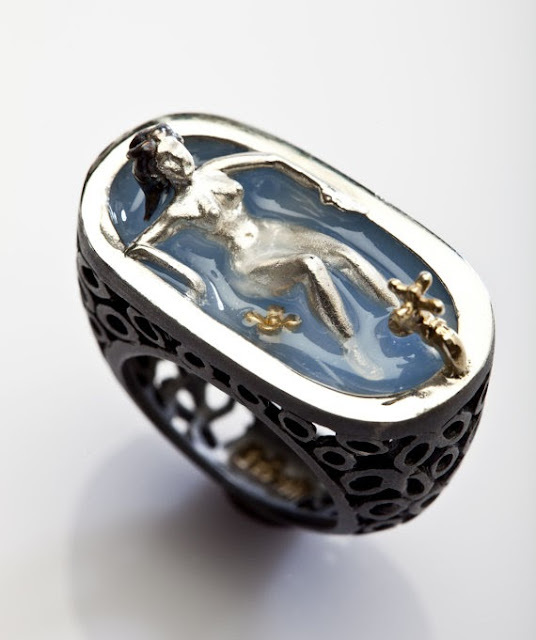 This was one seldom occurrence when I unexpectedly came across a ring that featured a naked woman in a bathtub. What initially drew me in is not by the simple fact it is actually a ring of a naked women in a bathtub, but the enticing and seductive nature of the woman fully submerged in water therefore showcasing her ample figure with her head thrown back in a seemingly relaxed state. The whole image depicts a sensual woman in her own little world yet although her body is at ease her mind seems a million miles away. 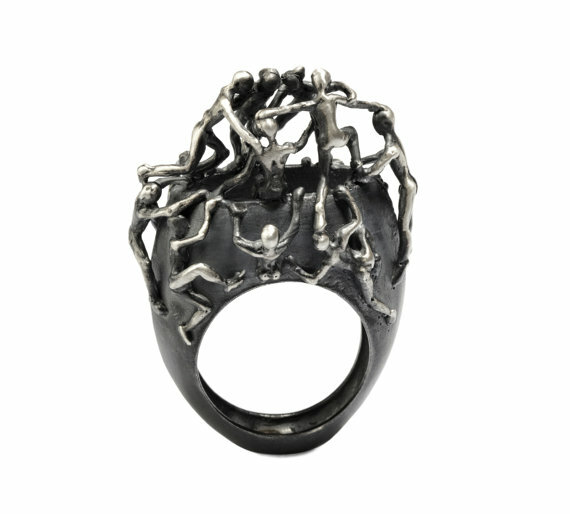 After coming across this ring I immediately researched on this miniature sculptural artist and visual storyteller. I expected more surprise in store. Turkish designer Selda Okutan has a signature style that has made her work easily identifiable and relatable; tiny human figures in various states and motions. 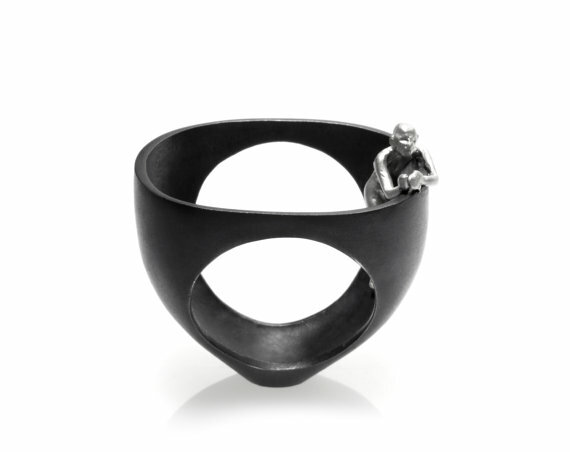 In her collection you could see them climbing, building, perching or relaxing. On others you could perceive their emotions, expression, thoughts and telling posture in the human body. 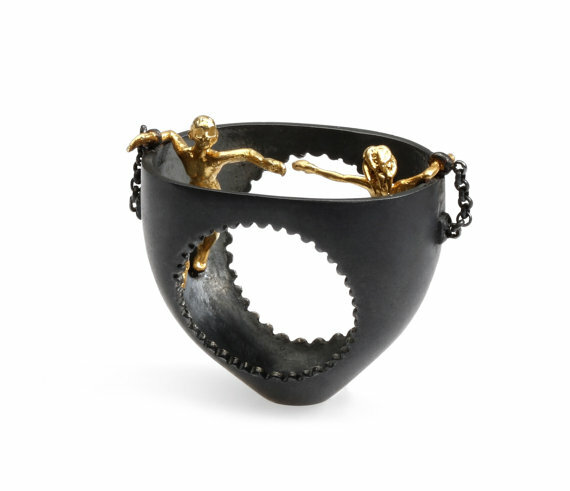 Selda is inspired by the human form and their subconscious movements and emotions. If you heard of the term 'people watching' and it applies to you then you will know exactly what she is attempting to convey. As individuals we vary from one another in terms of appearances, personalities, mentality, styles and tastes; we find our fellow individuals avidly interesting and mysterious. As humans we are an art form subjected to a stranger's gaze. 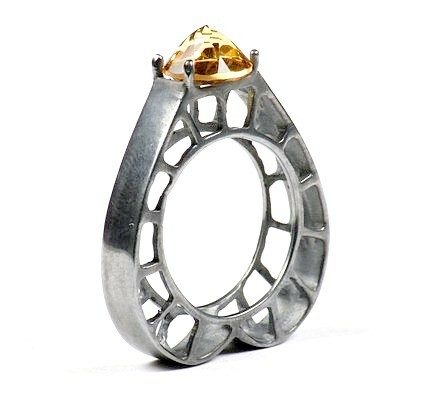 The visual narratives of her designs allows the wearer to form their own distinctive story. I'll be delighted if the ring was picked out because they can relate to it, that's the spirit and whimsical nature of her designs. 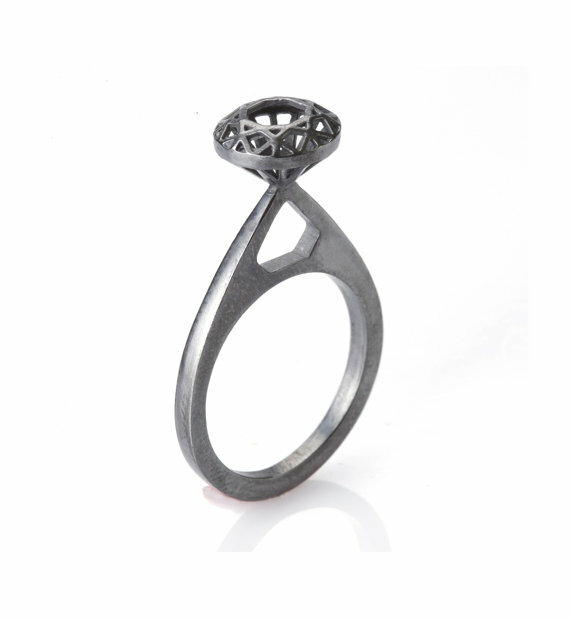 The sentimental factor allows the ring, as well as the story, to live on. 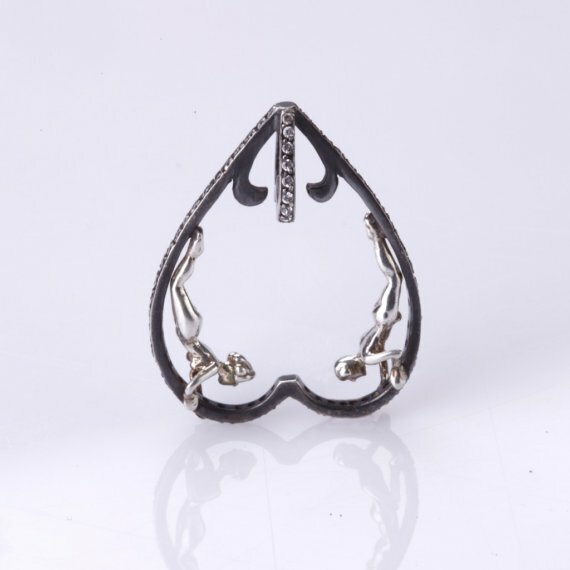 It is enticingly collectible and each and every piece has appealing intricacy, quality craftsmanship and intriguing intimacy. 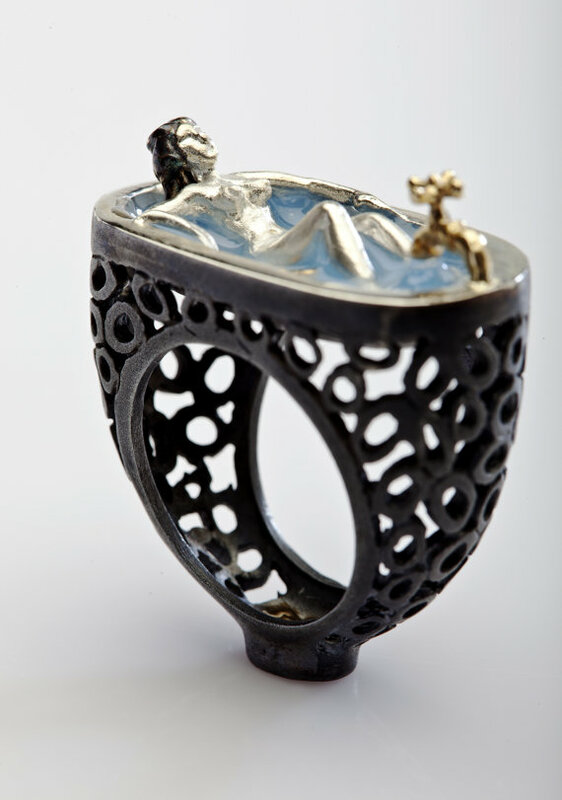 It'll be such a shame to store the ring in a ring box when they can be displayed openly. It is wearable art sculpture after all. Her rings are rather dream-like whilst mildly nightmare-ish due to the darker undertone; gothic romanticism comes to mind. If you look closer at the tiny human figures their expressions depicts subjective fear and forlornness; I could speculate it is a inconclusive representation of our current state in society where isolation and powerlessness are a padlock from freedom. However freedom comes with the tiny figures in the state of undress. It's peculiar how since the beginning of mankind it is part of everyday normality yet in this current society it is a criminal offence to expose yourself in public spaces. That's unconscious influences in modern society for you. It is not my intention to showcase majority of her ingenious collections. I tend to focus on a particular theme or a piece from a collection that stood out more than others. However her work is just too good to go amiss. 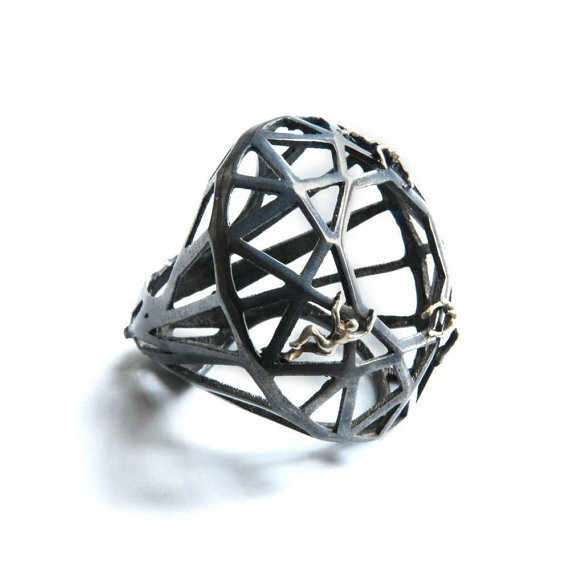 So if you're still intrigued then please do visit her website and Etsy shop as there are fabulous rings to awe and shock you. What's my favourite? You wouldn't believe how difficult it was as they wildly differ from one another. 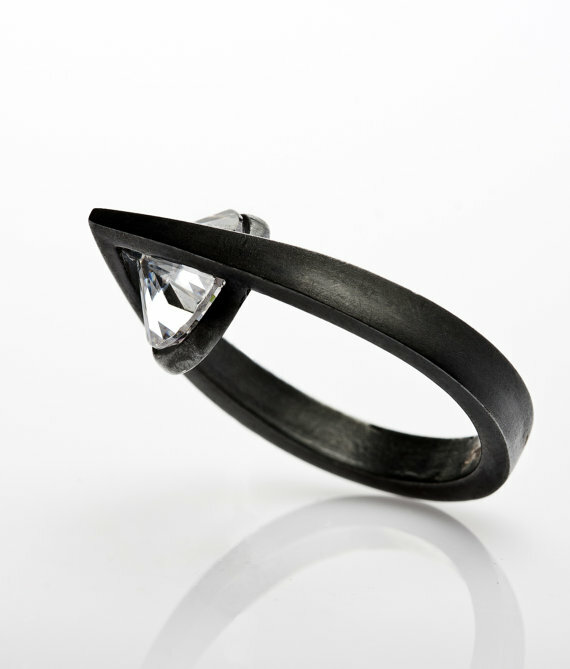 But the designs I've repeatedly gone back to the most are the Drop of Tear Ring and Like Diamond Ring. They completely won me over due to their modern simplicity and raw originality. 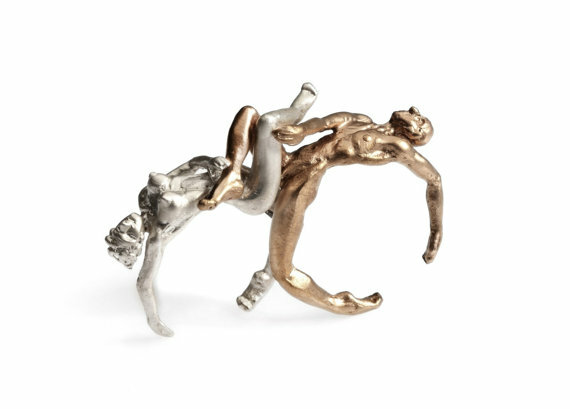 In my whirling thoughts they are an antagonist to an engagement ring; a rebellion to the mass produced and identikit aspect of tradition and abject conformity to trends. 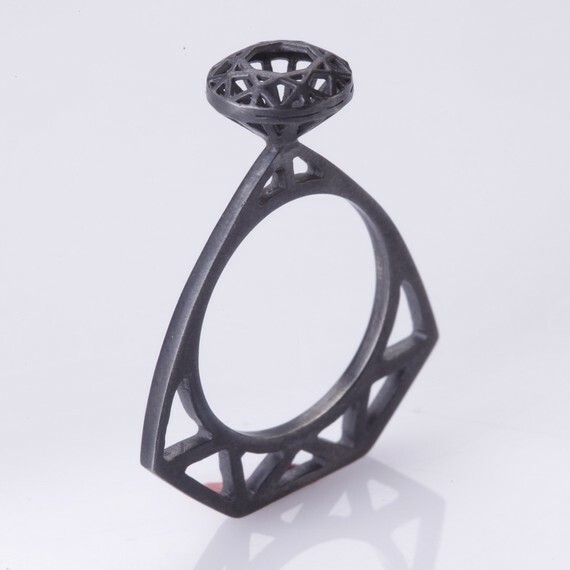 Would you want to wear a ring where the diamond crown is facing upside down and a diamond that is not actually a diamond?